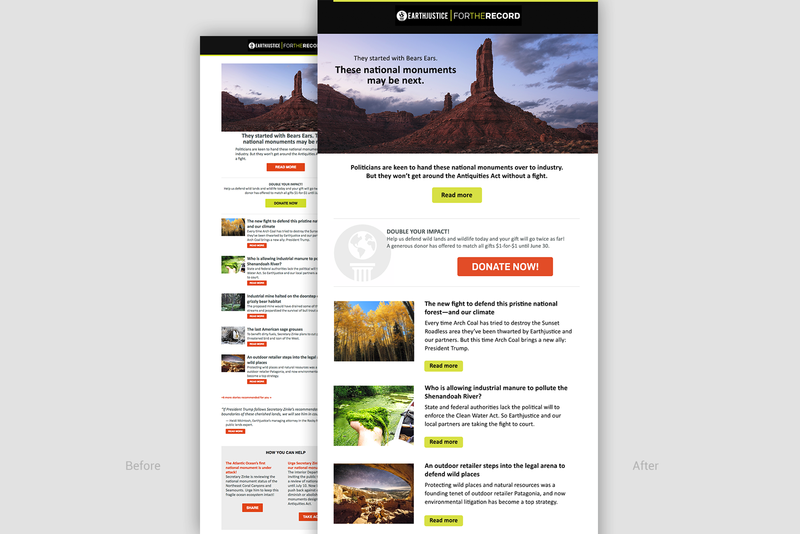 One of the best parts of the work I do is seeing the transformation that takes place when I redesign a client’s web site or other communication piece. It’s really quite satisfying to take an under-designed digital experience and give it the polish it deserves. 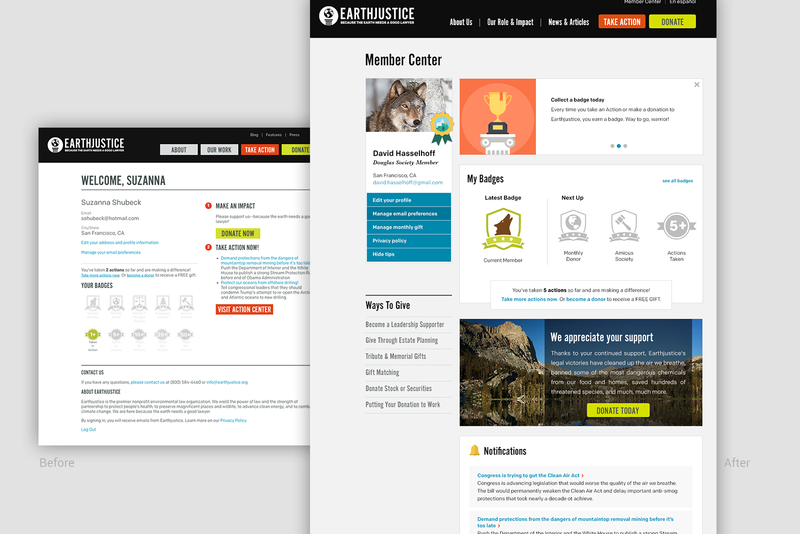 That was the case with Earthjustice, one of the leading nonprofit legal defense organizations that protects the environment. 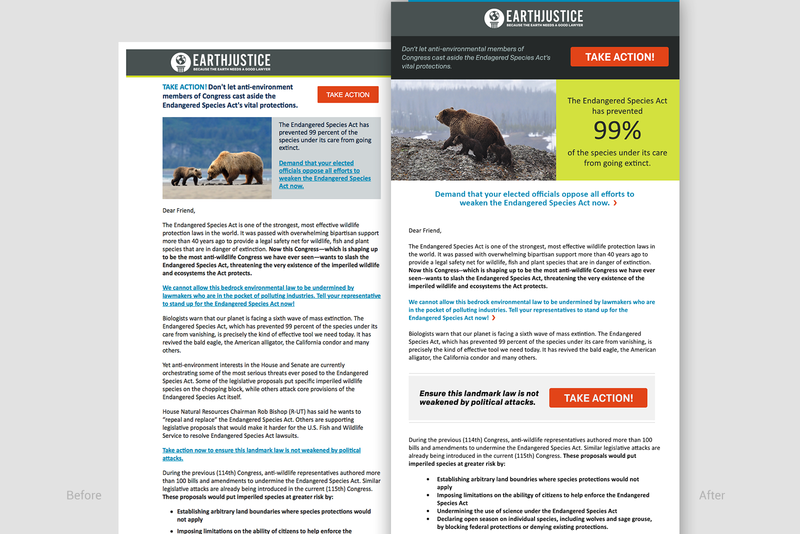 When Congress decided to undermine the Endangered Species Act, for example, Earthjustice was right there pushing back on the legislation that would threaten our air, water, land, and wildlife. An outside firm has redesigned their site about 4 years ago, and most of it had been updated and maintained by a staff of talented people, but not a UI or UX designer in the bunch. So all the little details that make a site well-organized, professional and polished was missing because they were always running in maintenance mode. 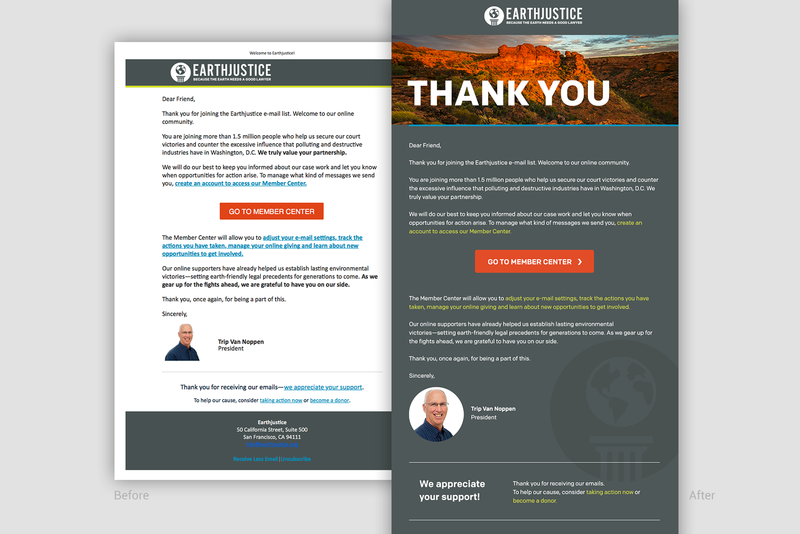 And to be honest, the current administration has been keeping Earthjustice pretty busy lately, so there was a lot of recent casework to feature, and news stories to update, and press releases, and so on and so on. Now it was time to take a hard look at the whole experience, from the information architecture to microcopy to the way the H tags were inconsistently styled. 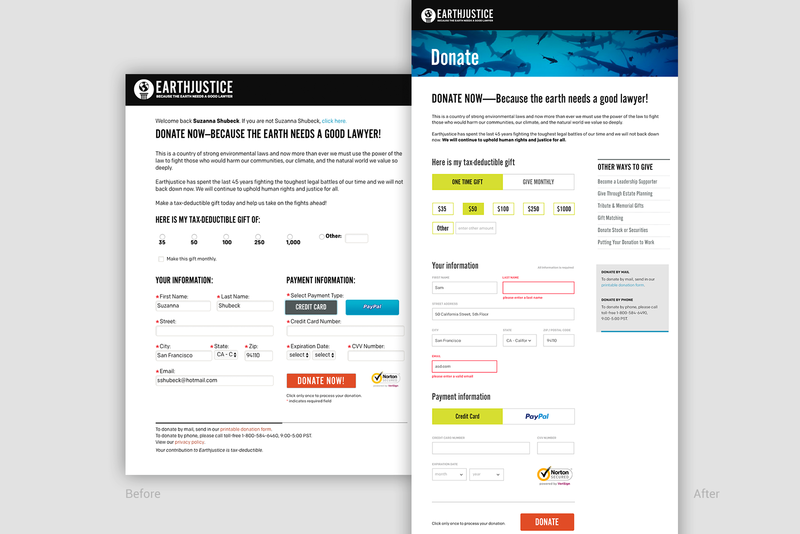 So in doing research we asked ourselves, is the design effective? In many cases, no. Typography felt claustrophobic, and there was a lack of consistency in how pages were laid out. How do we reduce friction without a total redesign? This was the real challenge: making some relatively easy-to-implement changes without tearing the entire experience apart. 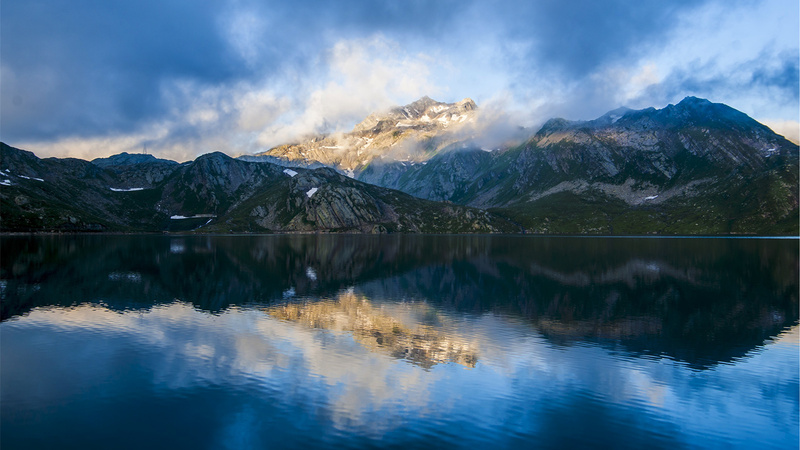 In addition, the site needed a style guide to ensure consistency across the Drupal template system, especially when content creators are primarily journalists, not developers or designers.